A dynamic, customizable light source for all your lighting needs. Client lights attached to a car, creating a neon effect - now possible using Lua scripts. Basic image streaming allow new opportunities for gamemodes and scripts. 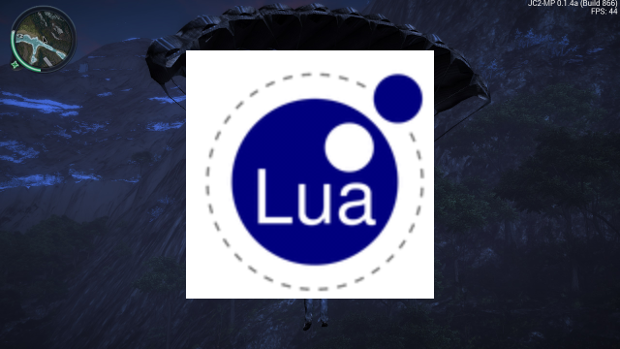 The Lua logo sent via Base64 on a player's screen. Particle systems can provide that extra touch to your script. Let your script flourish with particles! 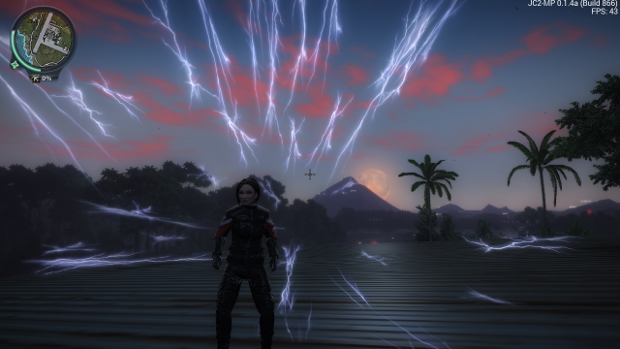 The particles from the Lost Island tower radiating out from the player. Potential superpower in the making! Updating the server is not required, but it is highly recommended to fix a server memory leak (more details below). Note: This change was made before release to prevent server crashes related to SQL errors. If you encounter an SQL error which leads to a later server crash, please report it. Nice! Can't wait to see all those riced cars. This is gonna be used on the Freeroam Fun Server asap. Thanks for the release devs! Thanks for for the bug fixes and new features, Devs! Curious about the unicode support. Support traffic is expected? How are things with utf8? Will changes in the physics of cars? puts them in the same mafia and a normal control, the developers of the game are unlikely to be refined? Translation is horrible, post original message instead. Unicode support is still being worked on.